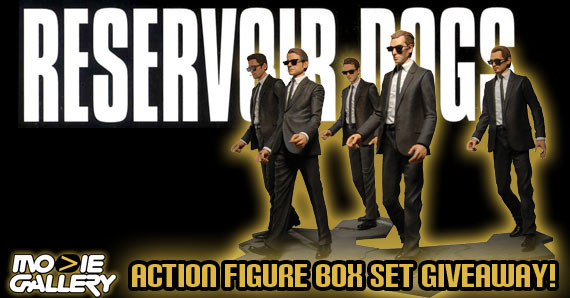 Reservoir Dogs Action Figure Box Set Giveaway! Here we go again with another Movie Gallery Giveaway! The prize from last week’s spooky Beetlejuice Giveaway has now been shipped off to the home of one lucky winner. 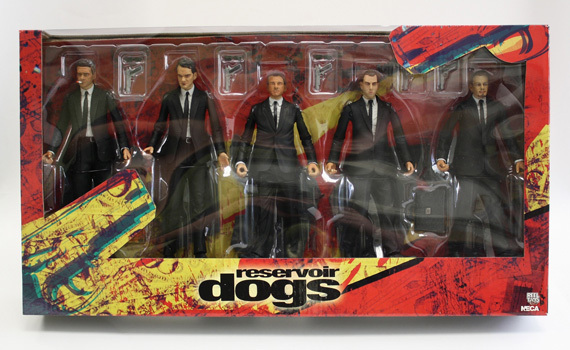 This week we’re celebrating the bloody cult-classic film Reservoir Dogs, the first from lauded writer/director Quentin Tarantino, by giving away an amazing 5-figure box set based on the heist crew from the film! Read on to learn how you can with this truly incredible prize! They were perfect strangers, assembled to pull off the perfect crime. Then their simple robbery explodes into a bloody ambush, and the ruthless killers realize one of them is a police informer. But which one? The window-boxed set includes Mr. White, Mr. Orange, Mr. Blonde, Mr. Pink and Mr. Brown. 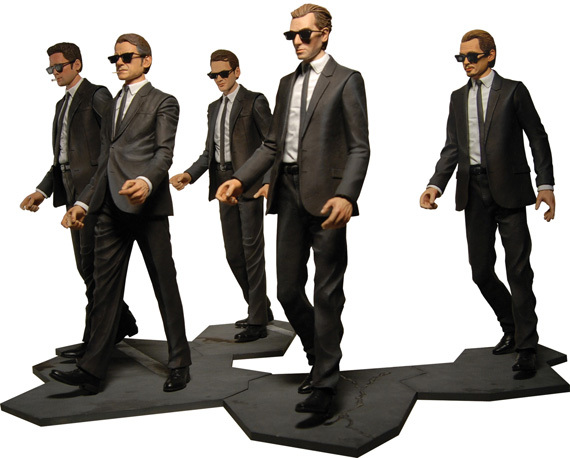 Each figure comes with character-specific accessories and a display base that connects with the other figures to recreate the iconic slow-motion walking shot from the film. This entry was posted in Contests & Giveaways, The MG Blog and tagged action figure giveaway, Contests & Giveaways, quentin tarentino, reservoir dogs, reservoir dogs giveaway by mgadmin. Bookmark the permalink.